So Weird‘s first season is shorter than its other two, which means it has less time to tackle the big stories at the core of the series. Instead, the writers take advantage of it as a means of building a foundation of mythology and character, using both to slowly build the plot of the show. Then they drop a bomb in the finale that pivots nicely into the second season. That finale, “Will O’ the Wisp,” also pairs well with the penultimate episode “Lost,” in that both re-emphasize the Phillips family as the main characters, and the ones for whom the stakes are high because of Fiona and her dogged desire to understand the paranormal. “Lost” seems patently ridiculous at first glance. Fi uses mail, chatrooms, and finally SimCity in order to help Kamilah find her way “home”—as in, wake up from a coma. But the episode is anchored by its focus on mothers and daughters. Kamilah and Anita are reflections of Fi and Molly, the latter of whom insists on being involved the minute Fi receives a spam-looking email. Later on in that scene, after Fi finds out where Kamilah thinks she is, Fi turns that agreement back onto her mother. Molly insists on backing out “because you can’t just walk up to a stranger’s house and say, ‘Hey, are you okay? 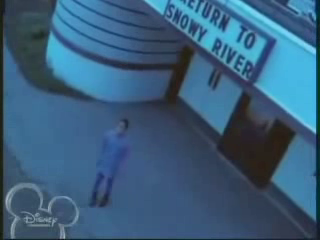 '” Fi replies: “Can if you’re with me.” As always, Fi is ready to jump head-first into the deep end of the pool for something that’s just a bit off; Kamilah notes that the Princess Theater is playing Return to Snowy River—an example of synergy as prescribed by then-CEO of The Walt Disney Company Michael Eisner, but also a movie that was at least 10 years old by the time this episode aired. It’s the detail that sends up a red light for Molly and a green light for Fi. It’s the following scene that really solidifies the episode and launches it into its moving third act. Anita types a series of questions to Kamilah, just to find out if she’s really still alive. With each question answered, she gets more tearful and emotional, until the zinger: “Who was your favorite baseball player?” “Daddy! My favorite baseball player is daddy!” Even more powerful: Anita uses the past tense, while young Kamilah uses the present. To her, “daddy” is still alive. (It’s never made clear what happened to the father, but he’s obviously not in the episode, which is a pretty significant absence.) So Fi uses SimCity and the tag-team of Jack and Clu to map out Kamilah’s path home, and the reunion scene brings the tears for Molly and Fi. Because in the same scenario, would not Molly also have faith that her daughter was still alive? “Will O’ the Wisp,” meanwhile, places the Fi/Jack dynamic front and center for one of Patrick Levis’s best performances. (It’s not even something that can be put into words; Levis puts so much joyfully chaotic energy into his portrayal of Not-Jack, and the writer and director have way too much fun having the character bounce circles around Fi while talking about spunkies and spirit worlds. It’s the perfect balance of darkness and madcap for a Disney show.) The episode moves as briskly as its spritely titular character; the show wastes no time in getting Fi to realize that something’s wrong with her brother, mostly skipping over the Town of the Week so that it can get to the really exciting part. That comes when Fi prepares to tell Molly that Jack has been possessed: “Bark bark, little duck,” says Not-Jack, invoking the character’s pet name for Fi, and suddenly everything goes green. Not-Jack has transported Fi to the Nexus, a halfway point between the mortal realm and the spirit world. In the context of the episode, this is a small detail, a way to isolate Fi and Not-Jack from the others because the story is about Fi and Jack. But in the context of the series, it’s huge: here at last is concrete proof that a world beyond the mortal realm exists and is populated by creatures like the will o’ the wisp that claims Jack’s body and mind. The episode features Not-Jack examining memories of Jack’s life (including key brother-sister scenes from the first season of the show) but the specter of Rick Phillips creeps in during the second half. When Fi and Not-Jack have a Q&A session (the latter to gain more insight into Fi and Jack’s relationship, the former because she’s trying to think of a solution for how to guess Not-Jack’s real name), she asks him about the spirit world: “Is that where people go when they die?” And later, when Fi has Not-Jack on the ropes with Jack’s own anagram guesser, he uses Rick as a bargaining chip: “Turn off the machine, and I’ll let you speak to your father!” It almost works. So strong is Fi’s desire to see her father again that her hand begins reaching for her laptop keyboard. But at the last second, something stops here. 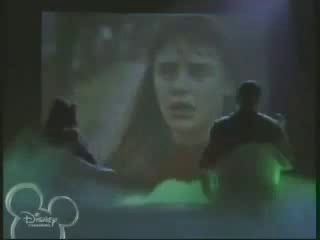 It’s never made clear what, but within the context of the episode it can be inferred that, for the moment, she has chosen the mortal realm and the living Jack over the spirit world and her dead father. It was a good choice in the moment, because right then, the anagram machine reveals the spirit’s true name: Bricriu. “That’s my name, little duck, and don’t you forget it, for I’ll be back!” he hisses at Fiona at the very end. It’s possible that Fi may come to regret her decision later. For now, though, it’s enough that she chooses to keep on keeping on: the bond between her and her brother is stronger than ever because of Bricriu’s interference, and now she knows that there really is another world out there, a world where her father is being kept, quite possibly against his will. On the heels of “Lost,” which reinforces Fi’s practicality and her obsessive nature towards solving mysterious puzzles, “Will O’ the Wisp” brings season one of So Weird to a strong close. The character groundwork is now laid for season two, as are multiple plot seeds and mythological pieces that will bear much fruit and go a long way towards making So Weird one of the most unforgettable series Disney Channel ever ran. Cameron White is a freelance writer currently residing in Arkansas. He writes about television over on his blog, Wayward Television, and tweets about the belligerent nature of gnomes. His obsession with television was founded in 1996 by The Disney Channel and fostered by his discovery of Firefly in the summer of 2007. He has had it with these monkey-fighting snakes on this Monday-through-Friday plane.